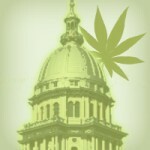 Wisconsin State Cannabis Lobby Day is announced for January 16th, 2013 in Madison. SAVE THE DATE! Letting folks know a couple of months out, so that plans can be made, and folks from the far reaches can arrange to attend. January 16th, 2013 will be WI State Capitol Lobby Day in the rotunda (exact times to be announced). Come one, come all. 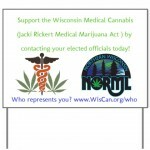 Learn, lobby and discover what is happening for the MMJ efforts in Wisconsin! The Northern Wisconsin NORML Chapter meets on the 2nd Thursday of each month for food, fellowship and public meeting. Check the calendar of events often for updates, things to bring to the meeting and to confirm agendas. The next event of Northern Wisconsin NORML is an Industrial Hemp Booth at the Answers to Energy Fair on Saturday March 10th. From 4:20pm to 5:30pm the chapter board of directors, along with members and supporters enjoy fellowship as an informal group gathering together prior to our meeting. The meeting location is the Harmony Cafe, 233 E College Ave in Appleton, which has food and beverages available for sale. At 5:30pm the chapter begins the general meeting, which usually lasts until 7:00pm, sometimes finishing early, but they have the room reserved up till 8pm just in case. Meetings are open to the general public and you are not required to a be a member to attend. Meetings are also broadcast over the Internet via Google + Hangouts! The chapter will post the link once live on the Northern Wisconsin NORML Facebook Page.